Spend a few minutes using Build a Body and it is easy to understand why it was recognized by the National Science Foundation. In Sponge Lab Biology's Build a Body students construct a human body system-by-system. To build a body students drag and drop into place the organs and bones of a human body. Each organ and bone is accompanied by a description of the purpose of that bone or organ. The systems that students can build in the Build a Body activity are the skeletal, digestive, respiratory, nervous, excretory, and circulatory systems. Build a Body has a case study menu in which students can read about diseases, disorders, and and other concerns that affect the human body. In each case study students are given a short description of the concern followed by a question that they should be able to answer after completing the Build a Body activity. Build a Body was designed with high school students in mind. 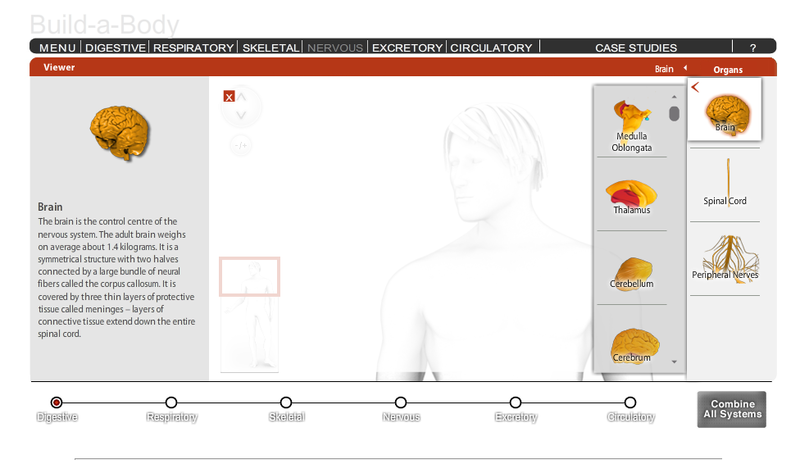 Build a Body could be an excellent resource to pair with Biodigital Human or Healthline's Body Maps. 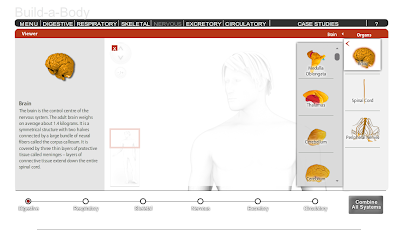 Have students use the Body Maps and Biodigital Human to study the construction of the human body then use Build a Body to test their knowledge.